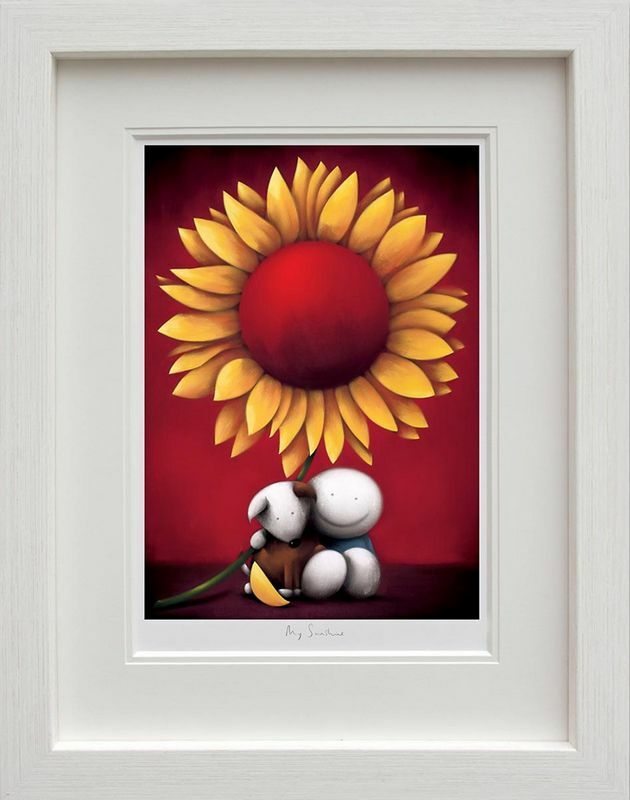 My Sunshine - Framed - framed by Doug Hyde // £374.40. What a stunning limited edition release we have here with ‘My Sunshine’ and immediately I thought of one of his older release: ‘Tender Love And Care,’ did you? It’s the same little figure with a sunflower and this gorgeous, soothing, red painted background. Our two heroes appear to be posing for the camera, in front of this giant sunflower and perhaps our friend has just managed to get his dog to come to a standstill! (for a few moments) I wonder if he run off to find the ball again in a few split seconds, like the limited edition: ‘Mad About The Ball’? Little touches are Doug Hyde’s speciality and did you notice the single sunflower petal that fell to the foreground, just as this snapshot was taken or the end of the dog’s tail painted onto the artwork? A little white colour to the dog’s right-hand side - I told you Hyde was good!